Business & Immigration in Schengen States is not a “program”, it is an Art. As the first commercial power in the world, European Union is still attractive to foreign investors from many countries. As one of the first financial and most competitive places, this is also the case of Switzerland. This field is constantly moving. In Belgium, the 6th Reform of the State, in force since January 2015, transfers the power to decide to Regions, which notably changed the practice to set up a company and to obtain Professional cards. In France, the”talent passport” is an amazing tool open to several kinds of profiles. In Switzerland, a vote of 9 February 2014 has lead to a more restrictive approach on immigration by 2017. 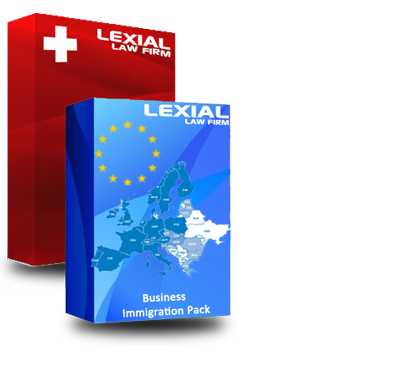 In Brussels, Paris and Geneva, Lexial is the leading firm in the field of professional immigration for expatriated executives and assist their employers in obtaining authorizations of occupation and work permits, or in setting up special tax systems for foreign executives, as well as in all legal aspects of the employment relationship and daily life for these high level employees. In Switzerland, we advise you within the framework of taxation lump sum. The firm also provides an assistance in view of obtaining citizenship, residency and professional card for self-employed activity, which generally implies the setting up of a company locally. Click here to access to basic information related to business immigration in Belgium, France and Switzerland. Click here to see our video about business immigration in Belgium and in France. Please fill in the form below to describe your business project in EU, to check your eligibility to our flat rate program for business immigration in Belgium or in France or to request a written legal opinion or an appointment about your situation. Within 24 hours, you will receive an answer including a financial proposal.